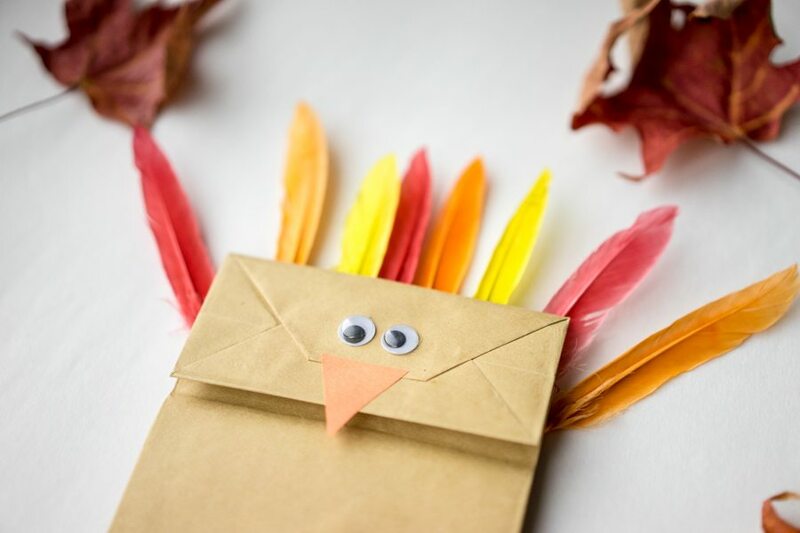 Even though Thanksgiving has come and gone in Canada, we are still not too late to share this Paper Bag Turkey Craft with our readers for American Thanksgiving! We had been meaning to make this Paper Bag Turkey craft for awhile now, but I got side tracked with some Christmas and Halloween crafts that we were a little delayed getting to this one. We also made a paper plate which is equally as fun. What I love about this Paper Bag Turkey craft are the FEATHERS! Your kids will not only love playing with this paper bag turkey after you are done, but they will have so much fun playing with the feathers during the craft process. If your little ones loved the feathers, then also try the paper plate turkey! 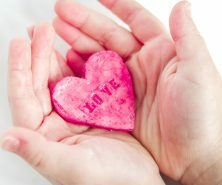 Equally as easy and fun to do. 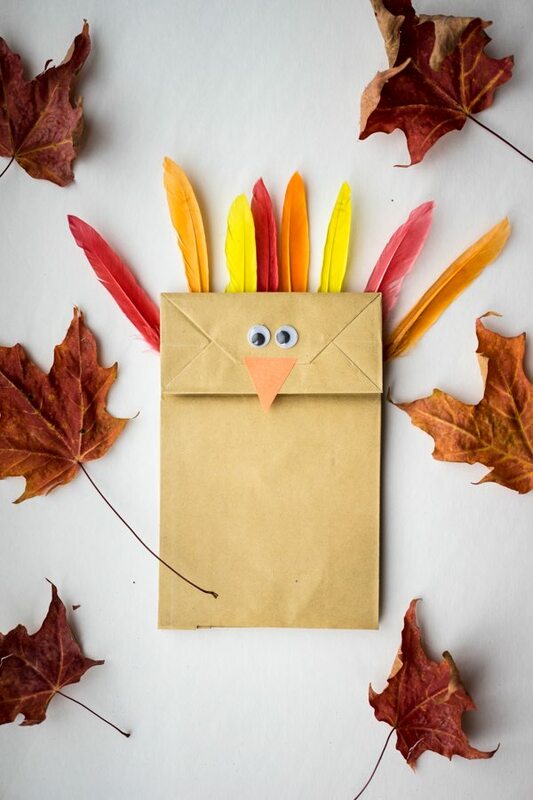 This paper bag turkey craft is very simple! First you’ll need to cut out the beak with the construction paper and get the googly eyes ready. Glue on the googly eyes, beak, and use the tacky glue especially to glue the feathers to the back of the bag. We liked using the colors red, orange and yellow for the turkey feathers but you could use any color combination and it would turn out fun! 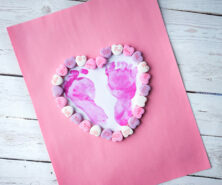 Or better yet have your child choose a mix of colors! Now that your paper bag turkey craft is complete, you can have your kids put their hands inside to make a puppet and talk like a turkey! My son enjoyed playing with the bag afterwards and we had fun talking back and forth.